Winter II is the follow-up to Ryan Marvel’s 2013 Winter. Marvel was awarded the “Whisperings Album of the Year” for his incredible 2017 release, Reflecting Forward, and while Winter II might not be as deeply personal as last year’s album, it’s equally heartfelt and stunningly beautiful. 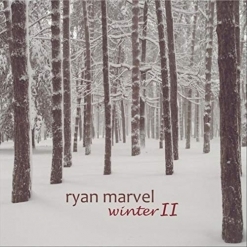 The twelve tracks on Winter II include two piano and cello duets (with cellist Heidi Mausbach), a few Christmas standards arranged and played with Ryan’s unique touch, and several lesser-known Christmas pieces that Ryan included to hopefully bring them renewed attention. 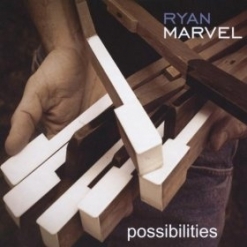 Although I’m sure Ryan Marvel can rock out with the best of them, it’s the depth of emotion and simple beauty of his music that make his style unique and so affecting. In a nutshell, this is one of the most peaceful and soothing Christmas albums I’ve heard - perfect holiday music for winding down with a glass of wine or a cup of hot cocoa, quiet holiday dinner music, or any time you just want to be wrapped up in the warmth of gentle Christmas music. All but the duets were recorded at Piano Haven Studios in Sedona, AZ and all were mixed and mastered by Joe Bongiorno, a wizard when it comes to beautiful piano recordings. Winter II begins with “Ukranian Bell Carol” (aka “Carol of the Bells”), a piece that adapts to an amazing variety of music genres, instrumentation and playing styles. It can be very percussive, but in Ryan’s hands, it is smooth, flowing and elegant - a great arrangement! “Dona Nobis Pacem” comes from the Roman Catholic Latin Mass and translates to “Grant us peace.” A repeated rhythmic pattern runs throughout the piece to support a simple but very expressive melody. I wasn’t familiar with this one, so thank you, Ryan! “Huron Carol” is Canada’s oldest Christmas carol and dates back to 1642. Very dark and haunting, it really should be heard more often - gorgeous! The first piano and cello duet is the Bach-Gounod pairing of the “Prelude in C” with “Ave Maria.” I love the combination of piano and cello, and both artists really soar with this lovely duet! “What Child Is This?” isn’t an uncommon carol, but I never get tired of it - especially in such sensitive hands as Ryan’s! “Gloucestershire Wassail” is another new one for me. Bright and livelier than many of the tracks, it has an infectious, joyful spirit. “All Through the Night” is paired with “Away In a Manger,” a very sweet and gentle lullaby that is so soothing and comforting! “Quem Pastores Laudavere” dates all the way back to the 14th century and has a bell-like quality that feels celebratory but dignified. The second cello and piano duet is the last track, and is a different arrangement of “Ave Maria” that combines the Bach/Gounod version with Franz Schubert’s - a stellar close to a wonderful Christmas album! 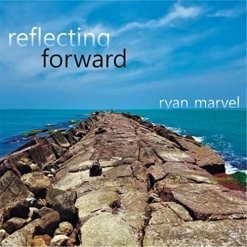 Ryan Marvel is an artist who deserves much wider recognition! If you enjoy solo piano that isn’t flashy but overflows with emotion, his music is a must-hear! 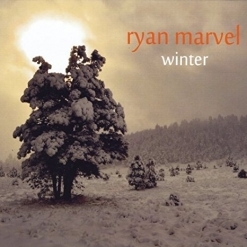 Winter II is available from www.RyanMarvel.com, Amazon, iTunes and CD Baby.